Kimi Raikkonen claims that Ferrari will not be able to improve their performance enough to challenge for the World Championship title this year. The Finn’s best results in 2014 are two seventh places in Australia and Spain. “It hasn’t been the best year so far but I’m sure we can turn it around and get where we want, not this year but in the future,” Raikkonen said. It is the first official admission that Ferrari are unlikely to catch Mercedes duo Nico Rosberg and Lewis Hamilton. Ahead of this weekend’s Canadian Grand Prix, Rosberg is four points clear at the top of the drivers’ title, with team-mate Hamilton his nearest rival. The German team are also running away with the constructors’ title having won all six races this year, with Hamilton taking four and Rosberg two. Ferrari have managed one podium finish with Fernando Alonso so far this season. And the Spaniard is already 61 points adrift of leader Rosberg in the championship. Raikkonen’s team-mate Alonso said after the last race in Monaco that he believed Ferrari would “be more and more competitive every race” and insisted: “So many things can be improved on the car. Raikkonen has been out-qualified by Alonso four times in six races and is 44 points behind him in the championship. But he admitted he was struggling with certain aspects of the car’s performance. “It hasn’t been easy for me this year, but I have been going through the same problems in the past,” added Raikkonen, who is taking part in his 200th grand prix in Canada. “It is to do with how you drive and you can change your driving style a bit, but certain things might still not work for you. “The thing that can make the biggest difference for the drivers is the tyres. The tyres unfortunately make such a big difference. “If they change tyres and the front end (of the car) is not strong any more, there are so many small details that have to come together to make things work for you. 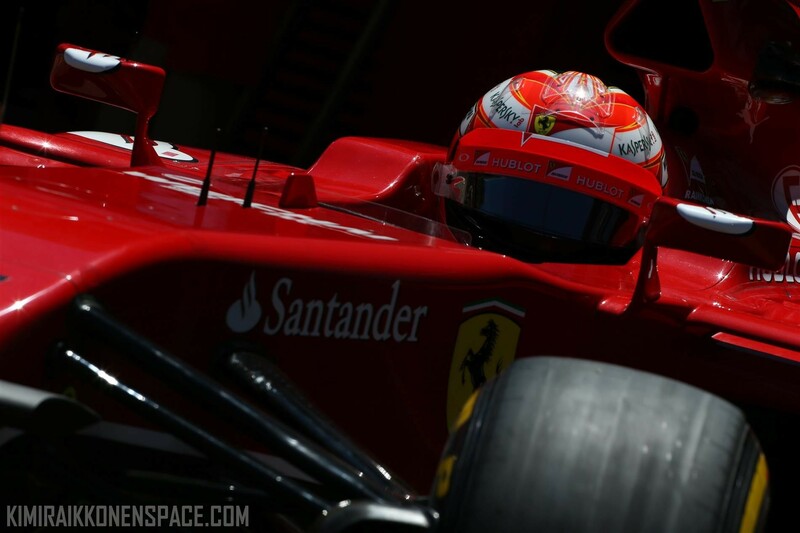 Raikkonen said his 200th grand prix, of which he has won 20, meant little to him. “I don’t count it and for me it’s just another race this year,” he added.